Have Desktop Companies Leveraged Mobile Better Than Start-Ups? If you had asked me about my thoughts on the mobile ecosystem several years ago, I would have predicted a very different future than what we are seeing today. I would have predicted a colossal shift to mobile with huge standalone mobile businesses being built. I would have said that every major desktop category would evolve into a new mobile format with start-ups paving the way. Today, some of that has played out while some has not. In many cases, we have seen large desktop companies capitalizing more on the shift to mobile while pushing start-ups to the side. Let's look at each iOS app store category (AppAnnie data) and see how things have shaken out. In each category, I'll either award +1 for start-ups, +1 for large companies, or 50/50 if it looks split. Foreword: I am skipping the Kids, Reference, Catalogs, Utilities, Weather and Newsstand categories either due to redundancy with other categories or lack of relevancy in general. Books: 50/50. The top rankings contain large companies such as Amazon, DC Comics and Marvel Comics mixed in with start-ups such as Wattpad and Scribd. It's worth noting that this category hasn't produced any huge mobile unicorns yet. Business: +1 big companies. I'll give kudos to Thumbtack here for making the top grossing spot. 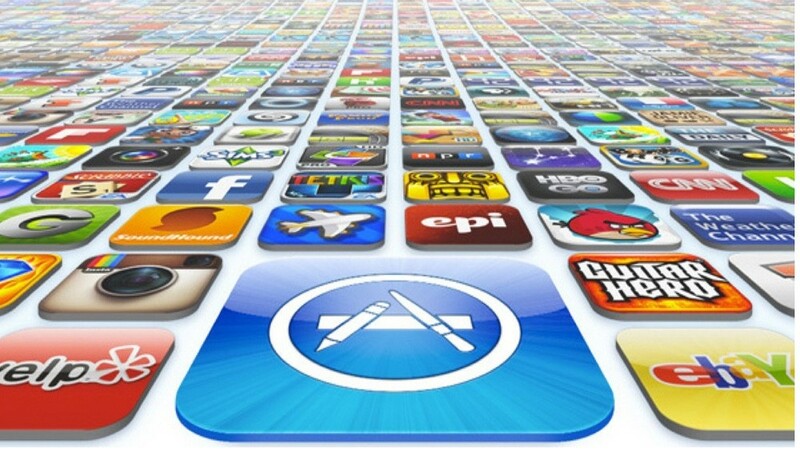 Other than that, you will mostly find apps created by large companies such as Adobe, Facebook, Square, Apple and Intuit. Education: +1 start-ups. Companies like Duolingo, MathCrunch, Lumos Labs, Remind101, ClassDojo, Udemy and Craftsy have built large audiences with interesting business models. There are a few apps by large incumbents such as Apple, Pearson and Rosetta Stone but I would say that start-ups certainly take the cake on this one. Entertainment: +1 big companies. This category has proven to be a big boys game. Netflix, Hulu, HBO, Showtime and other large content producers or distributors have a stranglehold on the charts. There are few start-ups outside of Dubsmash and CrunchyRoll and certainly no mobile unicorns. Finance: +1 big companies. This category is owned by large companies such as BofA, Chase, Wells Fargo, PayPal, Citi and Geico. The few notable consumer finance start-ups include Credit Sesame, Credit Karma and Betterment, all very exciting companies in their own right. Luckily, this category is massive and start-ups can become huge despite larger companies sitting in the top spots. Food: +1 big companies. There are plenty of food apps from large national brands, namely Starbucks, McDonalds, Pepsi, Domino's, OpenTable, Dunkin' Donuts and Pizza Hut. There aren't any start-ups at the top of the charts and you need to look beyond the top 20 before you start seeing familiar names such as Postmates, Blue Apron and DoorDash. Like Finance, this is still a huge and exciting category for start-ups even though big companies take the cake. Gaming: +1 start-ups. Gaming is by far the biggest category in the app store. There are many successful start-ups in the space such as King, Zynga, Supercell, Machine Zone and Kabam. Hundreds of small gaming studios have seen overnight success and this trend will continue. Stalwarts like EA and Activision haven't gotten their act together on mobile. Health/Fitness: +1 start-ups. Fitbit (just went public), MapMyFitness, Runkeeper, Strava and many other micro-communities and niche health apps have become very popular. There are very few large incumbents playing on the charts outside of Nike. In fact, many large companies are making acquisitions in the space to bolster their mobile portfolio, i.e. UnderArmour (acq. MyFitnessPal) and Adidas (acq. Runtastic). Lifestyle: 50/50. This category is a tie between large incumbents and start-ups. Amazon, eBay, CVS and Walgreens all rank near the top, but there are many fascinating mobile commerce case studies such as Wish, Wanelo, Ibotta and OfferUp. Medical: Not much going on here so no points awarded. I wanted to call out the category because I think it has a lot of potential! Music: +1 start-ups. Pandora and Spotify are powerhouses and were recently considered "start-ups", but they are fairly large companies at this point. There are tons of great music start-ups at the top of the charts such as SoundCloud, Shazam, TuneIn and Rdio. Navigation: +1 big companies. Waze was really innovative but now they are owned by Google. Google really just owns this category. News: +1 big companies. Entirely dominated by Fox, CNN, Yahoo, WSJ, NYTimes, etc. Productivity: +1 big companies. Aside from Dropbox (which is now basically a "big company") and Evernote, the rest of the list is made up of companies such as Microsoft, Google, Apple, Yahoo and even Verizon. Not too many upstarts here of scale. Social Networking: +1 big companies. At one point this was probably a 50/50 category, but there has been rapid consolidation. Facebook, WhatsApp, Pinterest (which I consider to be a large incumbent now), Twitter, Skype, Tumblr and Viber all rank highly. Many of the largest platform companies have several separate social networking apps under their umbrellas. Sports: +1 big companies. Aside from apps like DraftKings and Gametime, this list is mostly made up of larger companies such as ESPN, Yahoo, NFL, NBC and MLB. Travel: +1 big companies. Start-ups like Uber and AirBnB have really gained steam in the travel section but at this point can be considered large companies. Other large entities filling the ranks include TripAdvisor, United Airlines, Delta, Priceline, Expedia and Yelp. Of the above 17 categories with points awarded, 10 are mostly influenced by big companies, 5 are battlegrounds for start-ups, and 2 are 50/50 split between large companies and start-ups. The most exciting categories for start-ups have been Education, Gaming, Health/Fitness, Music, and Photo and Video. For the larger companies, mobile has proven to be an extremely valuable channel that supplements existing desktop businesses. In fact, rather than seeing a ton of mobile "pure play" businesses being built, most start-ups have seen success by utilizing mobile as an important channel but not the sole channel. Discoverability, reliance on app rankings (rather than search intent like on desktop), and mobile retention have proven to be major challenges for the mobile app ecosystem and continue to make things difficult for mobile-only start-ups. More on this topic in a future post.